Registration for the 2019 McEown Community Garden season will open April 22, 2019. A community garden is a plot of land where community members collaborate and contribute to a shared garden space with a goal of producing food. Community gardens provide residents the opportunity to engage in a healthy recreational activity, grow nutritious food, build community, learn about sustainability, and beautify open space. Planting native species best stuited to the environment. Community gardens administered by the U of S are bound to these sustainability principles in their guidelines. Garden co-ordinators take professional steps to engage gardeners in sustainability to help educate participants on the benefits of sustainability in a community garden. As part of its implementation of the Campus Sustainability Plan, the Office of Sustainability supports all campus community gardens in any way possible. This includes offering personal expertise, opportunities to network with experienced campus personal, access to funding opportunities, and - in the case of the McEown Community Garden - administrative support. If you are a student interested in getting involved with sustainability on campus and have experience in gardening, horticulture, or community organizing, watch for the posting of this position early each year. For more information, please contact Erin Akins, our Sustainability Initiatives Co-ordinator, at sustainability.initiatives@usask.ca. The McEown Community Garden is our largest and longest-standing community garden on campus. Having come under the administration of the Office of Sustainability and Consumer Services in 2015, the garden currently serves ~100 gardeners living in the residences at McEown Park, College Quarter, and Grad House. The garden operates as an allotment garden in that garden parcels are allocated to individuals who cultivate them individually. The Office of Sustainability's Community Garden Co-ordinator supports operational logistics, acts as a liaison for gardeners, and helps to plan events or workshops throughout the season. Applications for the McEown Community Garden are now closed for the season. Our application page will be available again in early spring of 2017 and will be open to students living in residence at any of the McEown Park, College Quarter, or Grad House residences. The McEown Community Garden is located in McEown Park, located just south of the main campus, along Cumberland Avenue. A Google Map of the McEown Community Garden's Location. The SENSSA (School of Environment and Sustainability Students' Association) Community Garden is located at St. Andrew's College at the University of Saskatchewan. It is managed by SENSSA and is open to students at the School of Environment and Sustainability at the U of S. SENSSA's garden co-ordinator works in close contact with the Office of Sustainability Community Garden Co-ordinator to facilitate partnerships, support gardeners, and offer educational workshops and experiences. The SENSSA Community Garden is open to students at the School of Environment and Sustainability. If you are a SENS student, contact SENSSA to inquire about membership. The SENSSA Community Garden is located at St. Andrew's College along College Dr. between Wiggins Rd. and Hospital Dr. 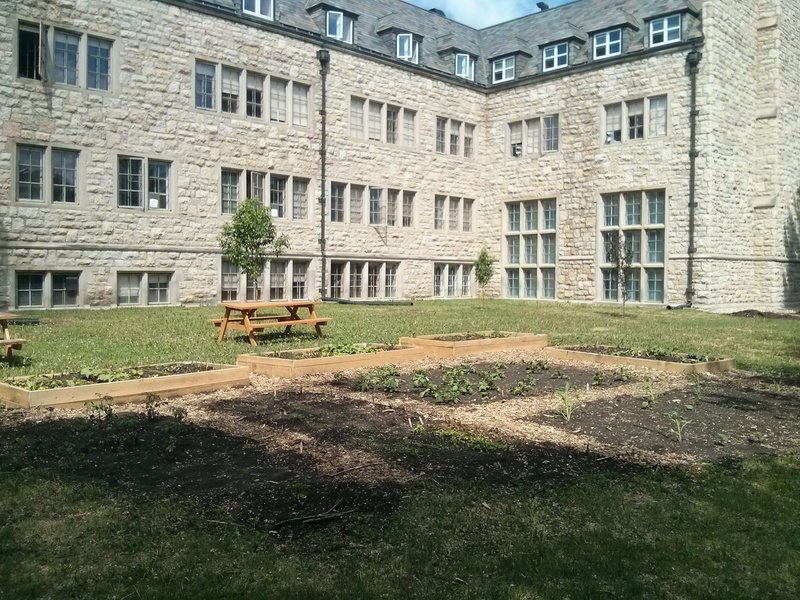 The University Services Building (USB) Community Garden is located outside the University Services Building. Initiated by Grounds and maintained by grounds grown and FMD employees, the garden is a constant source of fresh fruits, vegetables, and herbs for the staff of the USB. Planting is a shared process in the spring time, with a co-ordinated planting party to help plant produce that has been started in the Grounds greenhouses. At a harvest party in the fall, employees are invited to help reap the bountiful harvest of the garden to share amongst themselves and to contribute to a communal potluck. Involvement in the USB Community Garden is limited to employees in the University Services Building. All employees are invited to help plant the garden at the beginning of the year, take from the garden during the growing season, and participate in the final harvest celebration in the fall. The USB Community Garden is located outside the University Services Building at 110 Maintenance Rd. A Google Map of the FMD Community Garden's location. The Horticulture Club Community Garden is located at the university's greenhouses on 14th Street. The project involves approximately 25 students, who are responsible for starting transplants in the greenhouse, field seeding, transplanting, maintaining (weeding), harvesting and storing of produce. Some produce is designated for sale to cover the cost of inputs, however the students consume the majority of produce. A faculty adviser and student co-ordinators assist the students in learning more about vegetable production. You can contact the Horticulture Club at uofshortclub@gmail.com. 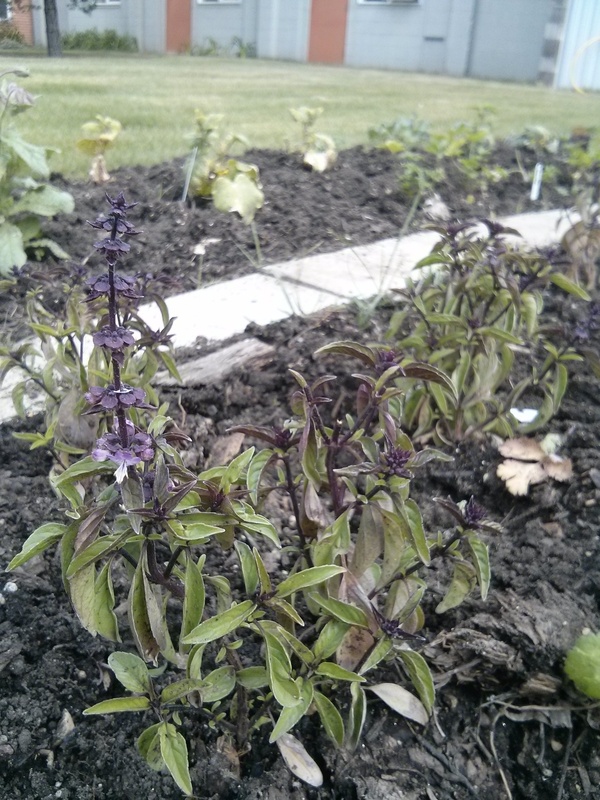 To get involved with the U of S Horticulture Club, contact uofshortclub@gmail.com. The Horticulture Club Community Garden is located at the university's greenhouses on 14th Street. The College of Agriculture and Bioresources Rooftop Garden is an urban agriculture experience at the University of Saskatchewan. Located on a rooftop connected to the pedway between Biology and Agriculture, this garden is a result of the hard work of Prof. Grant Wood and his cohorts in the Departments of Plant Science and Soil Science. Born from the work of students participating in the Office of Sustainability's own Living Lab initiative, the Rooftop Garden has become the university's first closed-loop urban agriculture garden that allows Plant Science students to help design and grow food to supplement their studies. Food produced in the garden is sold to Marquis Culinary Centre to feed the university. Any waste products are then dehydrated and taken to the Grounds Department Compost Centre to continue fertilizing the garden. The College of Agriculture and Bioresoures Rooftop Garden is not open to gardener registration due to its sensitive location and academic purposes. The College of Agriculture and Bioresources Rooftop Garden located on a low roof of the Agriculture Building. It can be seen when passing through the walkway from W.P. Thompson to Agriculture. Residents of Assiniboine Hall, Wollaston Hall, Souris Hall, Seager Wheeler, Graduate House, and College Quarter who are living in residence over the summer months. There is no cost to join or participate in the McEown Community Garden. What Do I Need to Know Before Joining? The McEown Community Garden is a shared space and rules are in place to ensure that gardening is a safe and enjoyable experience for everyone. All gardeners will be expected to read and comply with the McEown Community Garden Agreement. Interested gardeners may apply within the application period (posted on this page early in the year) through our online application form. Due to large numbers of applicants in previous years, we now allot garden slots on a first come, first serve basis. Our office and the Community Garden Co-ordinator will try to accommodate as many gardeners as possible in this process. Successful applicants will be contacted and asked to review and sign the McEown Community Garden Agreement. April 16 - May 4 Registration for the 2016 season begins. Early May Information session and meet and greet. Mid-May Garden tilled and plots divided. 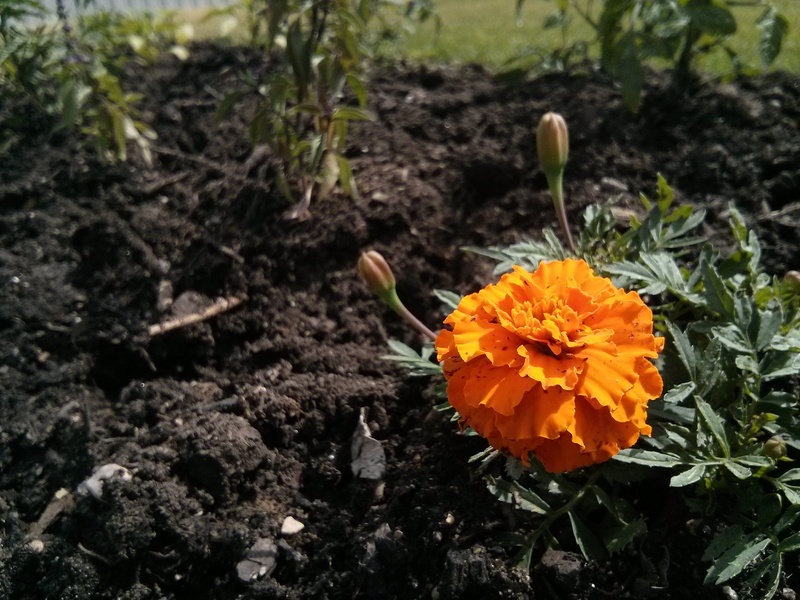 Please send any questions to community.garden@usask.ca or call (306)966.2282. A Community Garden Co-ordinator supports the garden each garden season. She/he will coordinate garden logistics and be a liaison between Residence, the Office of Sustainability, and gardeners. He/she will support gardeners throughout the season by organizing events, assisting in the garden, and providing guidance. All gardeners will be expected to read and comply with the above rules to participate in the McEown Park Community Garden. All students living in the residence community should be familiar with the policies of the U of S Residences. Garden Line is a free service offered through the College of Agriculture and Bioresources to help answer gardening questions and concerns.